WHAT IS CA UIM ALL ABOUT ? 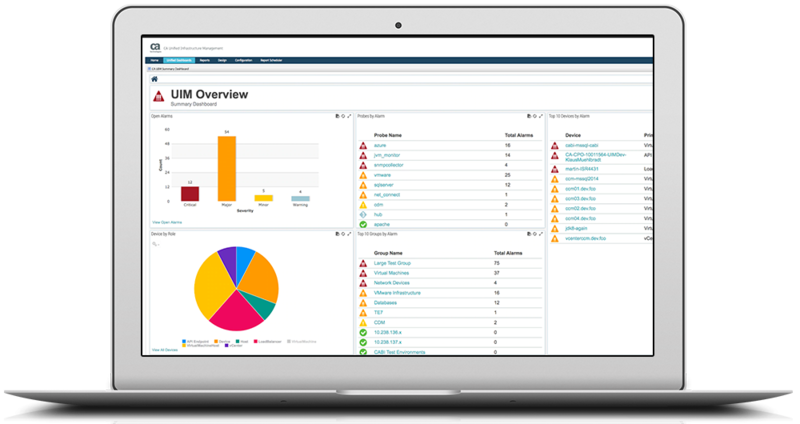 CA UIM is a unified IT monitoring platform that enables enterprise IT organizations and service providers to proactively manage critical IT infrastructure and services. It monitors networks, applications, servers, databases, storage, and the end-user experience. CA UIM features a single, unified architecture that supports both traditional data centers and newer virtualization and cloud environments to give IT professionals and business users end-to-end visibility into their IT services through customizable portals, dashboards, and reports.